A Must Read Post by a friend! It is a much needed reminder, indeed. The hadith that I am sharing in this post is one of my favorites. It is one of those narrations that whenever you read them you get a good taste in your mouth and you want to act upon it somehow, immediately. It tells about seven categories of people who will get shade by Allah on the Day of Judgement. I wanted to discuss each of the seven points but they are so beautiful and clear and complete that there is no point in explaining them further. The only thing I want to say is, imagine the Day when there will be no shade! Sun would be very very near us. There will be no trees, no shelter, no nothing! The Day would be 50,000 years long! 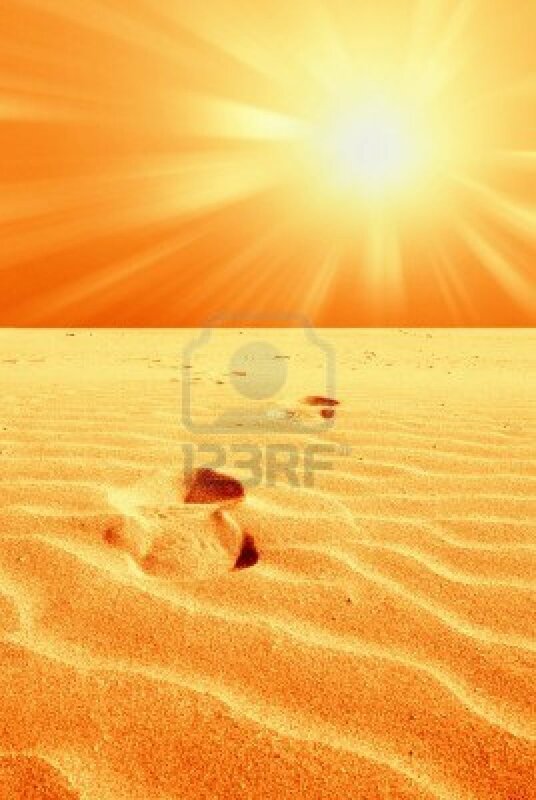 It will be sweltering hot and everyone will be thirsty beyond imagination and so worried and alone. Read a bit about how that Day would be like in the post “Only Imagine” and then read this post further so that you can actually feel what a great blessing and relief it would be to get a shade on that Day! We do want to be from at least one of these seven people, don’t we? O Allah, the Merciful and Ever Loving! Please make us one of these and help us act on these points. 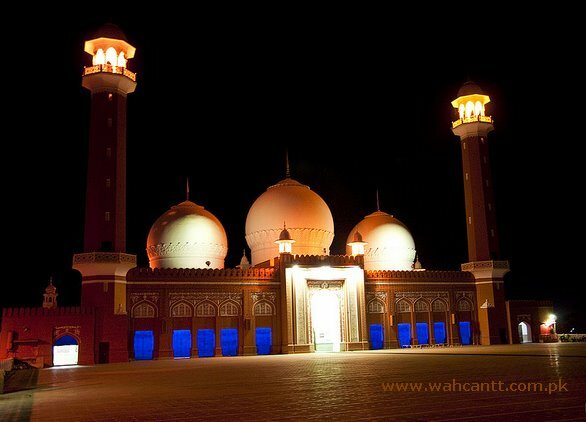 The biggest masjid in the town and only one and a half row for the Maghrib prayers??? Allah u Akbar! Do you feel the grief? If not, then you should. I wonder why do people wonder that our nation is in the worst decline ever? How can we ever progress with this state of events? Next time, someone talks to you about our nation being down in the dumps or about the corrupt leaders or any such matter, just ask them directly: “Do you offer prayer in congregation?” Seriously, let’s spread this question. Make people think! (I’m only talking about the congregational prayer right now. Not the fact that when we got out of the masjid there were people busy selling things on carts and busy in their other worldly dealings, right outside the masjid). Know, that at the time of Prophet Muhammad s.a.w there was no concept of not offering prayers in congregation. Even the pure hypocrites could only get away with their claim of being a Muslim by offering prayer in congregation. So it was a sort of distinguishing factor between Muslims and non-Muslims. Narrated Saalim: I heard Umm-Dardaa’ saying, “Abu Dardaa’ entered the house in an angry mood. I said to him, ‘What makes you angry?’ He replied, ‘By Allaah! I do not find the followers of Muhammad s.a.w doing those good things (which they used to do before) except the offering of congregational Salaat (prayer).” (This happened in the last days of Abu Ad-Dardaa’ during the rule of ‘Uthmaan). The above narration implies that there was no concept of not offering prayer in congregation even though Muslims of that time had left other good things. But they just had to do this one. Imagine Abu Dardaa’ coming to visit us now… Would he even survive? Scholars have always talked about the immense importance of prayer in congregation. Some scholars talk about congregational prayer being fard (obligatory) and some talk about its not being obligatory. Whether obligatory or not, in either case its importance is not lessened. Nabi s.a.w was ready to leave his honorable position of Imam in order to punish those who missed congregational prayer. He s.a.w did not talk about those who do not offer prayer at all. Rather they might be men who offered prayer regularly in their homes. They just missed prayer in congregation. The last lines mean that if people could see even benefit as little as getting two small pieces of meat, they would come to the congregational prayer. Which means that people only look for materialistic gains (which do not exist in congregational prayer), they don’t look for the real benefit behind it (though the real benefit is in abundance in the congregational prayer). Last, but not the least, just imagine these words coming out of the mouth of the person who was the most gentle, loving and kind and rarely angry. Imagine burning the houses of those people… It’s almost as if the loss that they’re facing in the hereafter on account of missing prayer in congregation is as if their houses burn down, with everything in them. O Muslim men! Wake up. Wallahi! Don’t wait anymore. This Ramadan, if only you could develop the habit of offering prayer in congregation, your Ramadan would not be wasted. 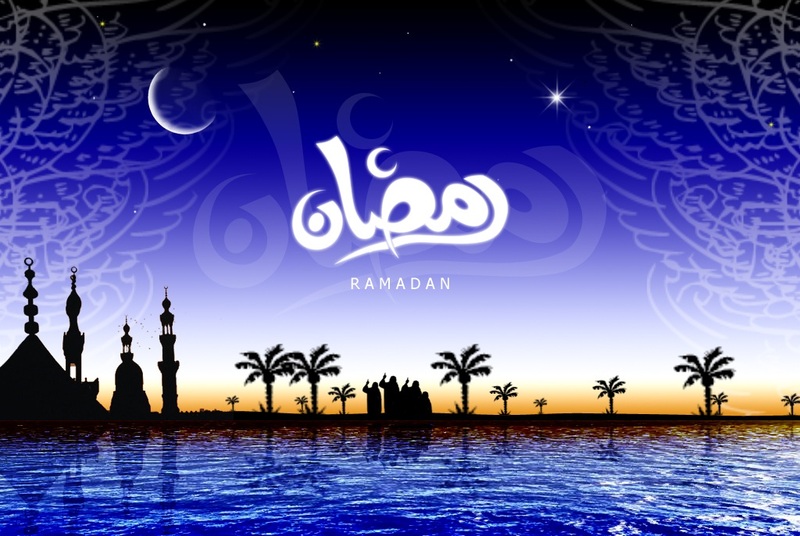 Ramadan – Right Around the Corner! I’ve been wanting to write something about pre-Ramadan since so many days but what with this and that, got no chance! BUT lots of awesome people have been on the go regarding it. I’m sharing some gems here with you. Also, sharing some written material from last Ramadan which will be of benefit this year again, inshaAllah. If you’re worried about how to not waste even a single moment this Ramadan then this is for you! Are your Children ready for Ramadan? Be sure to go through the following video links, they’re fab! Task for today is “speaking good”. ‘And speak to people good [words]’ (Al-Baqarah 83). Task for today is “sorting out the extras”. Open your cupboard/closet. Take out the things that you have just for ‘keep-sake’ and you don’t need those much. Give them away to the needy during Ramadan. Task for today is “making a list out of each juzz”. Task for today is “learn du’aa for taqwa and hang it in your room”. Translation: ‘O Allah! Indeed I ask You for guidance, Allah consciousness, chastity and contentment.’ (Muslim). Task for today is “do one single good deed (however small it may be) ONLY for Allah”. Keep it a secret. Don’t share it with ANYONE. WHY? Intention is acting upon the ayah: ‘Indeed, Allah does not do injustice, [even] as much as an atom’s weight; while if there is a good deed, He multiplies it and gives from Himself a great reward.’ (An-Nisa 40). ‘And remember the favor of Allah upon you’ (Al-Ma’ida 7). We want this for our dear ones: ‘There has come to you from Allah a light and a clear Book. By which Allah guides those who pursue His pleasure to the ways of peace and brings them out from darknesses into the light, by His permission, and guides them to a straight path.’ (Al-Ma’ida 15-16). Do you believe? Then PONDER ON THE SIGNS. (And that will surely increase your faith). ‘O children of Adam…………..and eat and drink, but be not excessive. Indeed, He likes not those who commit excess.’ (Al-A’araaf 31). Task for today is “find your Toor”. ‘And We made an appointment with Moses for thirty nights and perfected them by [the addition of] ten; so the term of his Lord was completed as forty nights.’ (Al-A’raaf 142). Musa A.S was called high up on mount Toor for seclusion so that he be given tablets (Holy writings) by his Lord. Task for today is “watch your salah”. It is said about the hypocrites in the Quran: ‘and that they come not to prayer except while they are lazy’ (At-Tawba 54). (A severe punishment awaits the munafiqeen in the Hereafter). DO I KEEP DELAYING MY SALAH? DO I FEEL LAZY IN OFFERING IT? Task for today is “to make a separate wudhu (perform separate ablution) for every salah and be extra careful about it”. 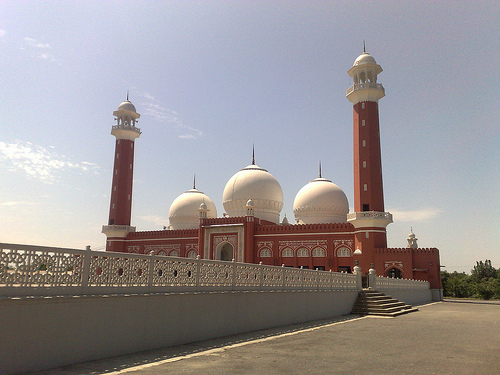 ‘A mosque founded on righteousness from the first day is more worthy for you to stand in. Within it are men who love to purify themselves; and Allah loves those who purify themselves.’ (At-Tauba 108). (REMEMBER ALLAH WILL LOVE YOU♥). In Surah Hud we read that every Prophet enjoined His nation to do istighfaar, to repent. And it has unimaginable benefits (in both worlds). Task for today is “think over what your own ‘unique’ talent is and reflect on how you can use it for the service of Allah”. ‘[Yusuf] said, “Appoint me over the storehouses of the land. Indeed, I will be a knowing guardian.”‘ (Yusuf 55). ‘He said……… Do not you see that I give full measure and that I am the best of accommodators?’ (Yusuf 59). So Yusuf A.S knew his skills. And he knew how to use them productively. Extra: We did Surah Yusuf today! Read a little about it here. Task for today is “to eat a spoonful of honey believing absolutely that it has healing for whatever ailment/complaint you may have and observe the said sign in it”. ‘There emerges from their bellies a drink, varying in colors, in which there is healing for people. Indeed in that is a sign for a people who give thought.’ (An-Nahl 69). Task for today is “to ‘lower yourself out of humility’ in front of your parents”. We have been decreed by Allah to to be good to our parents, we’ve been given no choice. If we do all of the things mentioned in the ayaah it’d be exceptional but for starters we could do at least one. Make yourself physically limp in front of them. (And that would bring out the humbleness from inside as well inshaAllah). *‎’And your Lord has decreed that you not worship except Him, and to parents, good treatment. Whether one or both of them reach old age [while] with you, say not to them [so much as], “uff,” and do not repel them but speak to them a noble word. AND LOWER TO THEM THE WING OF HUMILITY OUT OF MERCY and say, “My Lord, have mercy upon them as they brought me up [when I was] small.”‘ (Al-Israa 23-24). Task for today is “to make du’aa with utmost faith and conviction that Allah WILL accept it”. (InshaAllah). ‘and never have I been in my supplication to You, my Lord, unhappy.’ (Maryam 4). Zakariyya A.S made du’aa with the faith that it WILL be accepted and KNOWING that he had no possible means or material resources that he could depend on. But he was still positive that He SWT listens and answers. Can I make du’aa with that much faith? ‘your Lord says, ‘It is easy for Me,’ (Maryam 9). Task for today is “to listen to the adhaan with full attention, feel it, answer it and make dua after it”. (Don’t do this task where people are sitting and talking, go some place where you can actually focus). Allah says: ‘And whoever honors the symbols of Allah – indeed, it is from the piety (taqwa) of hearts.’ (Al-Hajj 32). Adhaan is definitely a symbol of Allah. How? When you listen to it, does it remind you of Allah? I bear witness that there is no God except the One God, right? Yes, it does. So you need to honor it next. And that’s today’s task. Task for today is “to avoid laghw (vain talk)”. Allah says: ‘Successful indeed are the believers………… And they who turn away from laghw……….. These are the heirs. Who will inherit paradise. There they will abide.’ (Al-Mu’minun 1, 3, 10, 11). KEY WORDS: Successful, believers, heirs (of) Paradise. Want to fall in all these categories? Yes? Then turn away from laghw. What exactly is laghw? Different people (who translated Quran) used different terms while translating laghw. Some of them are: Idle talk, vain talk, indecent matters, ill speech, impious talks, all sorts of frivolities, dirty talk, false talk, falsehood, and all that Allah has forbidden). So laghw can be defined as any conversation or action that is pointless/useless in terms of Akhirah. Which will not benefit us at all at the end of the day. It includes lies, falsehood, evil talk, abusive language, bragging, claiming superiority, excessive joking (yes), mocking, backbiting, gossiping, belittling someone, slandering, immoral and immodest talk. NOTE: Laghw destroys our life, we’re not able to do anything productive and it is one of the major reasons of not being able to focus in salah. All such useless and meaningless activities which waste one’s time and does not provide one any good or benefit in return. In the referred verse, the Qur’an has mentioned refraining from all such useless activities as an inseparable quality of true believers. A true believer, who knows that he shall have to face the Almighty and be held answerable for the use of all the privileges and resources, which he enjoys during the life of this world cannot be unmindful towards the wastage of these privileges and resources. Time, indeed, is one of our most precious resources during the life of this world. It is only the time that we have utilized for our benefit that is properly utilized. The remaining hours and minutes stand wasted. After having realized this fact, no true believer can even like to spend a minute in any such activities which are neither beneficial to him in the life of this world, nor in the hereafter. Task for today is “check your company acutely”. This is something we often ignore but it is really really important. Friends do have a very strong influence upon us. Do your friends ‘somehow’ steer you away from the remembrance (Quran) of Allah? Think about it. Write down the names of your close friends or the ones with whom you spend your time most and write an analysis in front of each name. And then ask yourself is this you who’s being spoken about in these above verses? You’d never want to regret on that day, would you? Extra: Here is a video about our task of juzz 19. It’s even less than 20 minutes. Do watch! Click here for the video. Extra: In Juzz 19, Al-Furqan 63-77 we read about the ‘slaves of Ar-Rahmaan’. Listen to this beautiful recitation (it’s with translation) and give yourself marks on each quality they possess. You ARE a slave of Ar-Rahman, right? :) Click here for the recitation. Why? That’s what Musa A.S did. He hits a little snag, tells Allah at once. His life is in danger, he tells Allah at once. He wants something, he tells Allah at once. And Musa A.S was helped in every instance because his reliance on his Rabb was very strong. We do come across some problem (big/small) every single day. This would be an effective way out. *Musa A.S killed a man by mistake. What was the first thing he did? Musa A.S’s life was at stake, he had to leave his city immediately. What did he do? He called out to Allah. As he entered a totally foreign land (Madyan), what did he do? Musa A.S was all alone with no possessions at all in an unfamiliar territory with no place to go. (He must be tired too, didn’t have a car). What did he do? Allah is talking to Musa A.S directly and telling him to go to Pharaoh. But Musa A.S has something weighing on his heart. What does he do? He A.S shares his burden with Allah. Then Musa A.S is worried that his speech is not clear, maybe he should have a support. What does he do? He tells Allah. So that is Allah’s beloved! What next? Extra: Read a short interesting piece about it here. Last 10 blessed nights are here. This short article might be all you need this Ramadan! Do read up! Click here. Dua for Layl atul Qadr. It’s very beautiful, please don’t miss this! Click here. Task for today is “watch your step and make it moderate + watch your voice and lower it”. Luqman directed his son: ‘And be moderate in your pace and lower your voice; indeed, the most disagreeable of sounds is the voice of donkeys.”‘ (Luqman 19). ‘and do not walk through the earth exultantly. Indeed, Allah does not like everyone self-deluded and boastful.’ (Luqman 18). Voice of donkeys + Allah does not like them; enough said. BONUS (JUZZ 21): Do ‘ihsaan’ (more than just good) with your mother. She did a lot, a lot for you. Will you? ‘And We have enjoined upon man [care] for his parents. His mother carried him, [increasing her] in weakness upon weakness, and his weaning is in two years. Be grateful to Me and to your parents; to Me is the [final] destination.’ (Luqman 14). Task for today is “do a lot of dhikr with an attentive heart”. 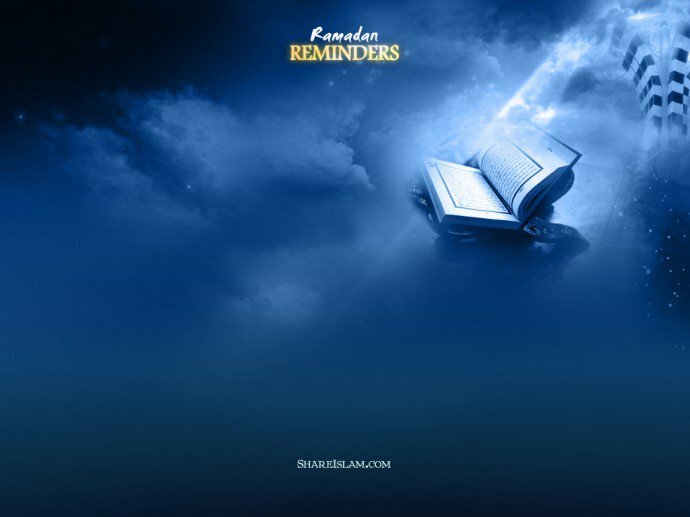 Allah says to the believers (to us): ‘O you who have believed, remember Allah with much remembrance. And exalt Him morning and afternoon.’ (Al-Ahzaab 41-42). Doing dhikr requires no extra time at all. Whether you’re working in the kitchen, driving or shopping you can keep your tongue wet with it. Plus recite special invocations for morning and evening (verse 42). Dhikr could be any, the easiest being SubhanAllah, Alhamdulillah, Allah u Akbar, Astaghfirullah, la ilaaha illa Allah. Again and again Allah mentions in the Quran that remember me in the morning and evening. We also get references from the ahadith. Extra: Regarding task of juzz 22: Click here. Narrated Abu Huraira: The Prophet S.A.W said, “There are two expressions which are very easy for the tongue to say, but they are very heavy in the balance and are very dear to The Beneficent (Allah), and they are, ‘Subhan Allah Al-‘Azim and ‘Subhan Allah wa bihamdihi. '” (Sahih Bukhari) (Book #75, Hadith #415). fil meezaan: in the balance/scales. Subhan Allah hil azeem: (and) Allah, the Greatest is free from imperfection. Task for today is “thank Allah for each and every thing that He has blessed you with”. Sulaiman A.S was grateful for all that Allah had provided him. (Saad 30-40). Therefore Allah says: ‘And indeed, for him is nearness to Us and a good place of return.’ (Saad 40). Think about your blessings. Offer two rak’at nafal salah and express gratitude after it in prostration, feel yourself minor! In juzz 23, Allah SWT reminds us of the things He has given us and says: ‘so will they not be grateful?’ (Yasin 73). Will you not be? Likewise, Allah says in the same juzz: ‘If you disbelieve – indeed, Allah is Free from need of you. And He does not approve for His servants disbelief. And if you are grateful, He approves it for you;’ (Az-Zumar 7). Remember: ‘And whoever is grateful is grateful for [the benefit of] himself.’ (Luqman 12). ‘And [remember] when your Lord proclaimed, ‘If you are grateful, I will surely increase you [in favor]; but if you deny, indeed, My punishment is severe.’ “‘ (Ibrahim 7). Not left with much choice after this, are we? Task for today is “repent and cry in prostration for each one of your past sin”. Allah says: ‘Say, “O My servants who have transgressed against themselves [by sinning], do not despair of the mercy of Allah. Indeed, Allah forgives all sins. Indeed, it is He who is the Forgiving, the Merciful.”‘ (Az-Zumar 53). A lot of times we don’t repent thinking that Allah might not consider it since I’m so sinful. No! Do it! Why? ‘And return [in repentance] to your Lord and submit to Him before the punishment comes upon you; then you will not be helped.’ (Az-Zumar 54). Furthermore: ‘And follow the best of what was revealed to you from your Lord before the punishment comes upon you suddenly while you do not perceive,’ (Az-Zumar 55). And don’t leave it for later. Read it NOW! TRUE STORY: Abu Sa`id Al-Khudri (May Allah be pleased with him) reported: Prophet of Allah (PBUH) said: “There was a man from among a nation before you who killed ninety-nine people and then made an inquiry about the most learned person on the earth. He was directed to a monk. Task for today is “protect your gaze”. What’s the first step that leads to lewdness? That first look! So the foremost thing is to protect your eyes from seeing anything that is inappropriate, let alone haram. Protect your eyes especially when you’re ALONE watching the TV, using the internet, in a public place etc. *Allah says: ‘Better and more enduring is that which Allah has for those who believe and put their trust in their Lord. And those who avoid the major sins and indecencies..’ (Ash-Shura 36-37). The word used here is those who avoid ‘fawahish’. One meaning of fahisha is lewdness. Task for today is “avoid negative thoughts about others in your mind + do not backbite others”. Allah says: ‘O you who have believed, avoid much [negative] assumption. Indeed, some assumption is sin. And do not spy or backbite each other. Would one of you like to eat the flesh of his brother when dead? You would detest it. And fear Allah; indeed, Allah is Accepting of repentance and Merciful.’ (Al-Hujurat 12). Often negative thoughts lead to backbiting so avoid them in the first place. Commit with a person who knows Quran/fix time, day, week/be very very firm that you have to follow the plan. You do not want your source of knowledge to be this world, surely? Task for today is “Form a plan and then call your family (parents, siblings, husband, kids) to Allah’s commands so that they’re saved from the BIG fire”. Allah says: ‘O you who have believed, protect yourselves and your families from a Fire whose fuel is people and stones, over which are [appointed] angels, harsh and severe; they do not disobey Allah in what He commands them but do what they are commanded.’ (At-Tahrim 6). Isn’t this scary? And Allah is addressing the believers here (their families are at risk from the fire too). Extra: Read a very short story about it here. Task for today is “whatever situation befalls you (even slightly troublesome) remember that it is a test”. Allah says: ‘[He] who created death and life to test you [as to] which of you is best in deed – and He is the Exalted in Might, the Forgiving -‘ (Al-Mulk 2). Our life and death is a TEST, did you know? Even that one look that hurts you is a test. Don’t fail the test. Ask Allah’s help. Task for today is “praise Allah + ask for forgiveness + resolve that from now I’ll spend my life according to Allah’s wishes and demands”. Surah An-Nasr was the last revealed surah of the Quran. After 23 years of tough struggle of Nabi s.a.w finally Islam was dominant. And Allah says to Him praise + ask forgiveness. Means submit to Him even after such a long awaited success. That’s what we’re supposed to do. Submit to Him, again! *Allah SWT says: ‘When the victory of Allah has come and the conquest, And you see the people entering into the religion of Allah in multitudes, Then exalt [Him] with praise of your Lord and ask forgiveness of Him. Indeed, He is ever Accepting of repentance.’ (An-Nasr 1-3).